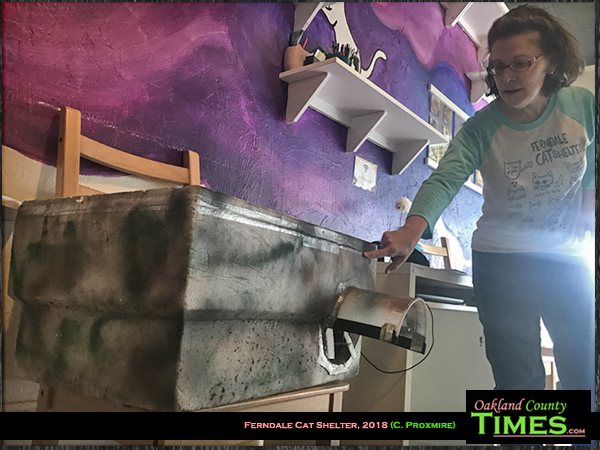 Ferndale, MI – It costs about $20 and an hour of being crafty to help save the lives of feral and community cats, and Kimberly Wallace of the Ferndale Cat Shelter is helping people learn how. 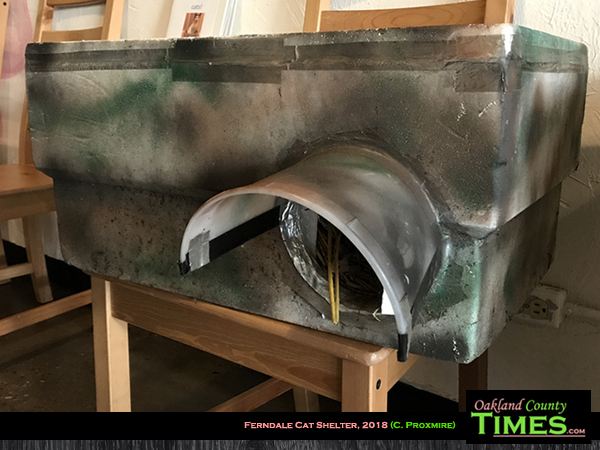 Though most known for their CatFe full of adoptable felines, the Ferndale Cat Shelter also invests in managing feral cat populations with a Trap, Neuter and Release (TNR) program paired with caring for cats that live on the street. Wallace has been volunteering for over two years. She started out fostering and helping cats find homes, but soon learned of the bigger picture of why there are so many cats in need to begin with. 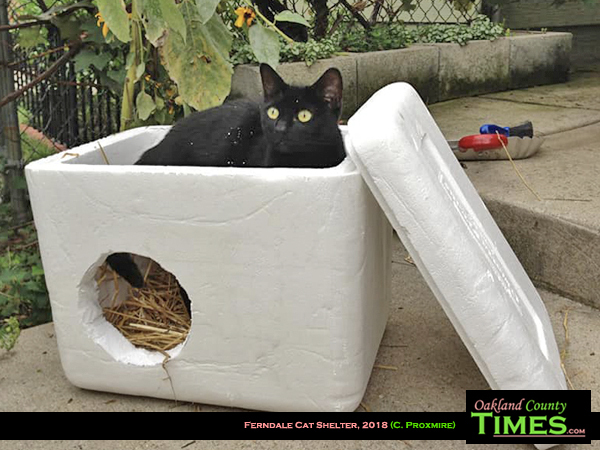 Community cats are those that live outside in urban, suburban and rural areas. They often stay in groups and find food wherever they can, with dumpsters and garbage cans being the best source. Some residents and business owners feed them, and provide shelter outside. That’s where the DIY cat shelters come in. Shelters can be made out of Styrofoam coolers or plastic storage bins. 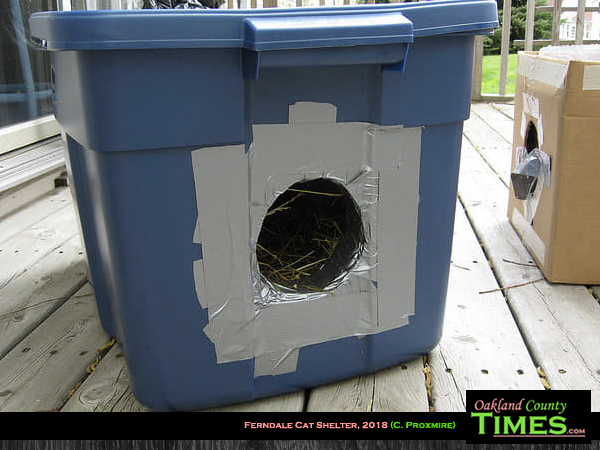 They are lined with quilted Mylar insulation, with a hole cut so cats can get in or out. Plastic shelters are made of two bins, with the inner bin smaller than the outer, with room for insulation. In the bottom, dry straw serves as bedding. “You have to make sure it’s straw, not hay. Anything you put in has to be dry and not retain moisture. People think they want to put a blanket in there, but it’s actually worse because it builds up moisture and freezes,” Wallace said. She also likes to put some kitty kibble inside the door to let cats know they are welcome. When asked about rats, she said only to put food out during the day, and if it’s not eaten to bring it inside at night. Cats that have been abandoned by their owners, and kittens, can be adoptable. But feral cats are not social enough to be turned into pets. They can, however, be captured by volunteers like Wallace and returned once they have gotten surgery. 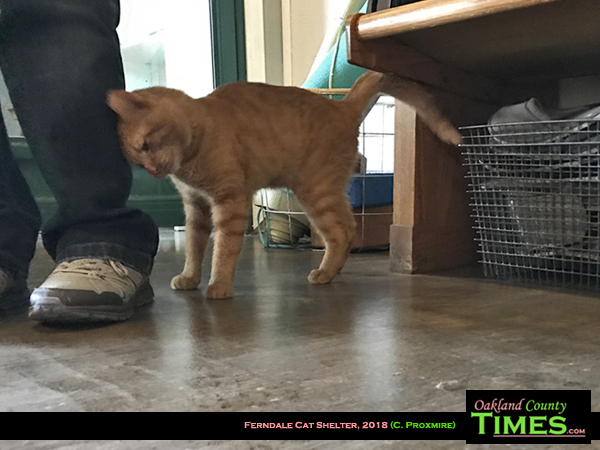 There are several vets that Ferndale Cat Shelter works with, including All About Animals in Warren and the Michigan Humane Society. Wallace said TNR volunteers make sure the cats are given a rabies shot, spayed or neutered, and treated for other things as needed such as fleas, worms, tetanus, and distemper before being returned to their communities. 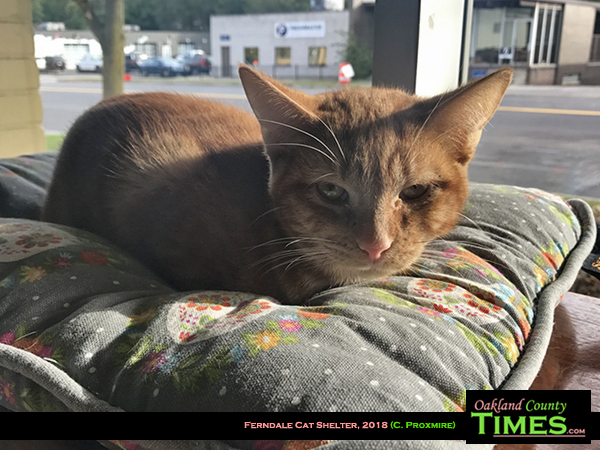 Caring for community cats does not just mean rescuing animals, it means educating humans as well. 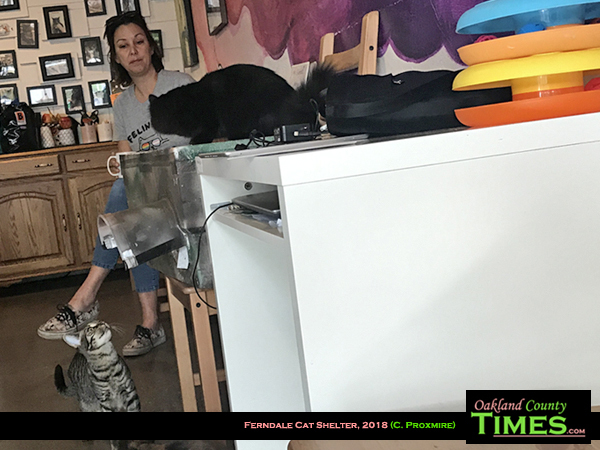 Wallace said cities have varied response to community cats, with some investing in TNR programs and looking at community cats to help combat rats, and some communities not allowing outdoor food or cat shelters. Those making shelters should be aware of their city’s rules on the shelters before putting any out. Wallace has made dozens of shelters, and so in 2018 she’d trapped over 250 cats for sterilization and release. Her dream would be for cities to fund TNR efforts. “Cats are part of our communities,” she said. Directions for shelters can be found at the All About Animals website.